"The entire city becomes your campus; the museums, the history, the nightlife, and the political atmosphere provide an experience unlike anything Ithaca has to offer." and leaders. There are opportunities for Cornellians and non-Cornellians (summer only). All programs combine Cornell classes with internship experience and all participants reside at Cornell's Wolpe Center. 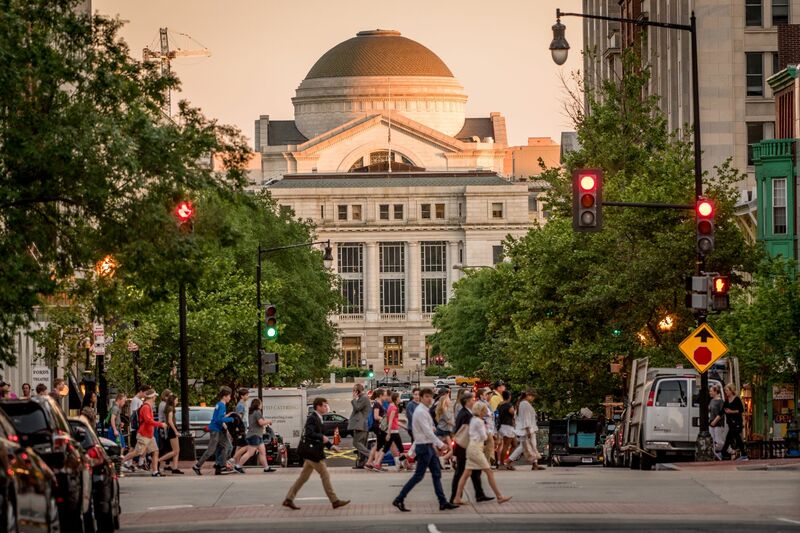 Open to any Cornellian, the Semester Program is the perfect blend of practical work experience and Cornell University courses, located in one of the world's great capital cities. Full description of the Summer Program can be found here. CAPS in Washington is specifically for students in China and Asia-Pacific Studies. This program is only offered in the fall. EXTENDED, there is still time! Looking for more information or someone to speak with? Contact CIW at cwash@cornell.edu.